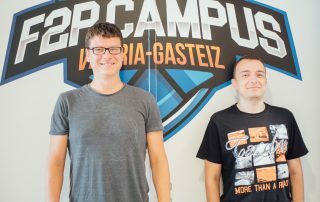 With members from Ukraine and the Czech Republic, Vectormonk is one of the most international teams that have taken part in the F2P Campus. 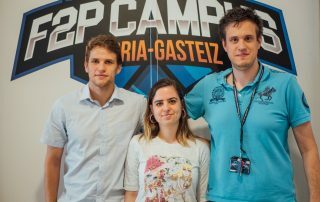 Dungeon Card Hero may be one of their first games as a team, but Anna Onyshchenko (analytics and QA), Danylo Syrotynskyi (programmer), Vitaliy Onyshchenko (game designer and producer) and Mike (artist) have extensive experience in the videogame industry. 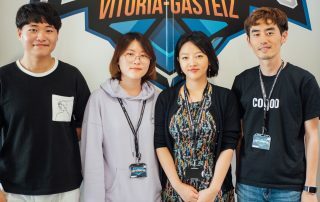 When Geonhee Han, Sungjun Lim, Yewon Lee and Heyme Kim started working on Oh My Princess in their native South Korea, they surely didn’t imagine that they would end up spending three months in Vitoria-Gasteiz. It has been an adventure as exceptional as the story they want to tell in their game: to raise a little princess from childhood until she becomes a woman. All by completing match-three puzzles like those in Candy Crush. No-one ever said that making videogames was easy and at GiantFox they know it firsthand. That’s why we couldn’t resist finding out more about Rise of Titans and their experience during its development. After several months of working day and night on their game, it’s time to get to know the people behind this project and see what makes Demon Blade so special. 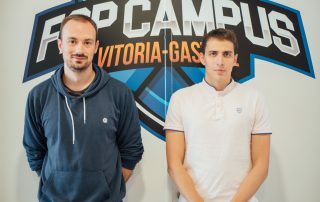 Since launching Evil Nun, the project Etorki Games brought to the F2P Campus in Vitoria-Gasteiz, the response from the community and influencers has been overwhelming: The game has been downloaded more than 1.000.000 times. 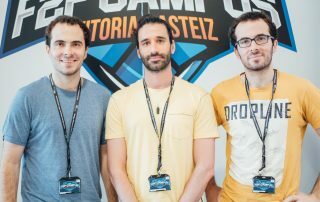 Hailing from the south of Spain, Hypeful have travelled from the beautiful city of Malaga to Vitoria-Gasteiz to take part in the F2P Campus and take BigBox, their first game, to the next level.